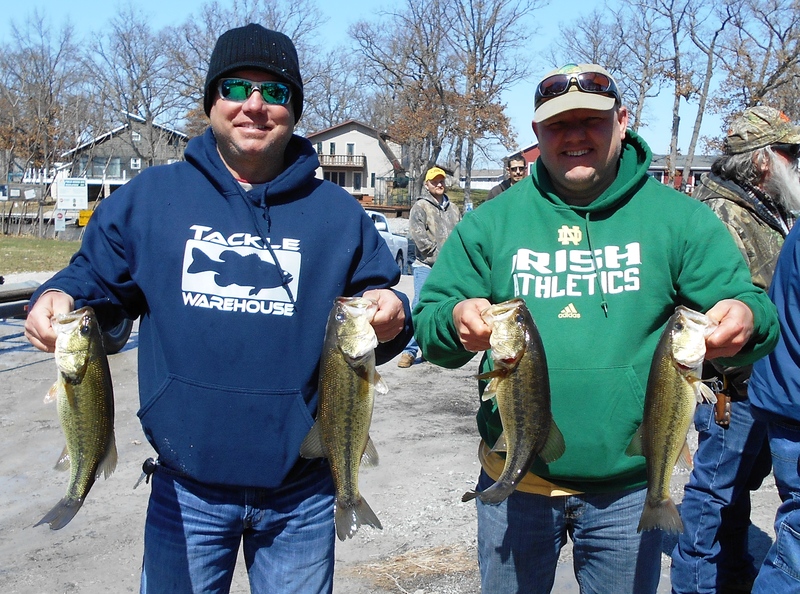 1st Place: Heath Hawkins and Bobby Hensley landed a 9.77 pound limit by working jerkbaits in just 3 feet of 44 degree water. Long pauses between twitches were critical. They won $500. 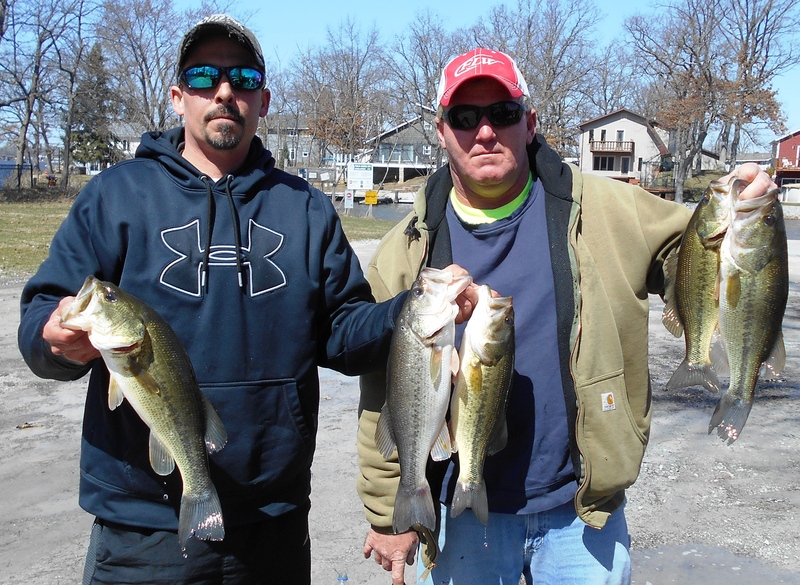 2nd Place: Kris Thornton and Chuck Lee slung a combination of rattle traps, jerkbaits, and silver buddy blade baits along breaklines to gather a 9.65 pound limit. They were awarded $300. 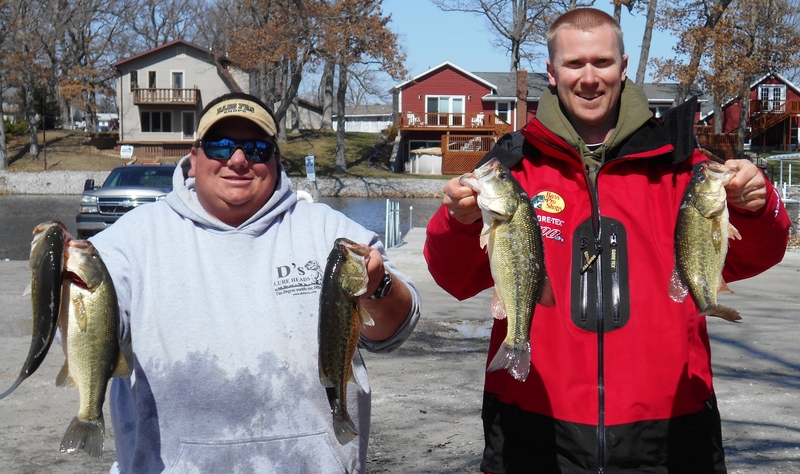 3rd Place: Andy Buss and Mark Fennell used Erie Darters matched up with with D's Lures grubheads between 2-4 feet of water to land a 9.35 pound limit and win $200.